Happy Friday loves! Can y’all believe it’s already almost the end of October? I feel like this year is flying by! I mentioned before that I’m headed on a little Disney trip on Sunday with my family, that I’m so excited for. I’m a roller coaster junkie (after I take 3 dramamines of course), but I can’t wait to go on the Frozen ride in Epcot, haha! This Norwegian girl can’t wait to see some Olaf and take a photo by the troll in Epcot’s Norway. Follow along on snap because I’ll be sharing it all there! I threw it on over my new favorite tee of all time for a late brunch at a new bakery in our town. It’s thermal, super soft, just long enough in the front and back (YES for being able to wear with leggings) AND has thumb holes. If that’s not the makings of an essential top, I’m not sure what is. I’ve already ordered it in the taupe and plum color, and expect it to be on heavy rotation in the cooler months. Is there any better layering piece than a thermal?! Tell me – what are your favorite types of blanket scarfs? Are you a plain plaid kinda girl or love other prints?! Have a great weekend gals! xo! In partnership with Nordstrom. All opinions are my own. Always perfection babe! 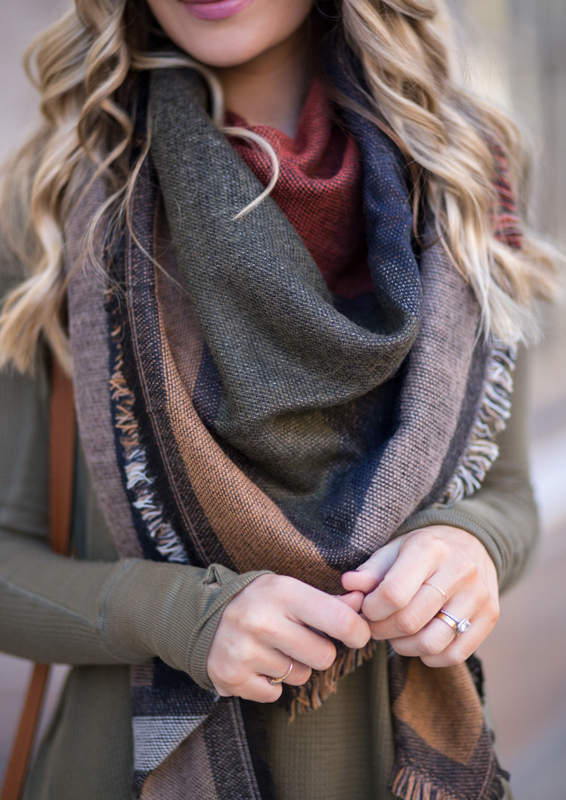 Love that scarf, the colors are so pretty for fall! 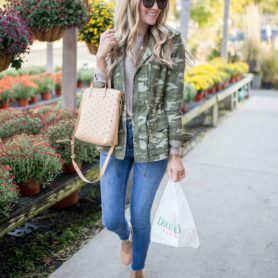 Your fall style has been so spot on! 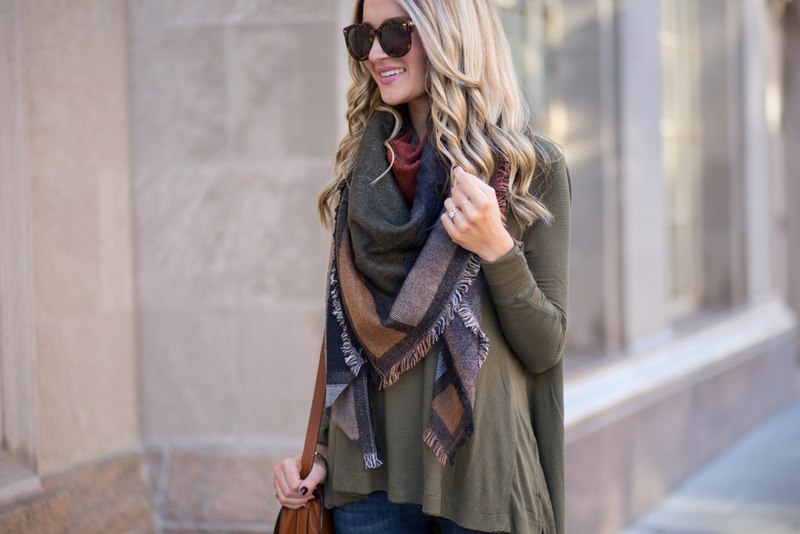 Love this cozy blanket scarf. And no, I cannot believe it’s almost the end of October already! 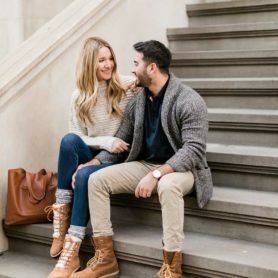 Just discovered your blog — LOVE! Saw this perfect fall outfit and bought it immediately! You have great style!